Imagine you had a daughter who tells you that she wants a boyfriend, but you mustn't tell her father? Watch this little cutey tell her mother, that she wants a boyfriend because she likes boys. If you were a millionaire, would you give away your millions to charity? READ:Monkey takes the wheel, and Trump says climate change will "change back"
Well, a Chinese Multi-Millionaire has said he lives on around $100 per month (which is R1 438) and has also said that he will donate his entire fortune to charity when he dies. 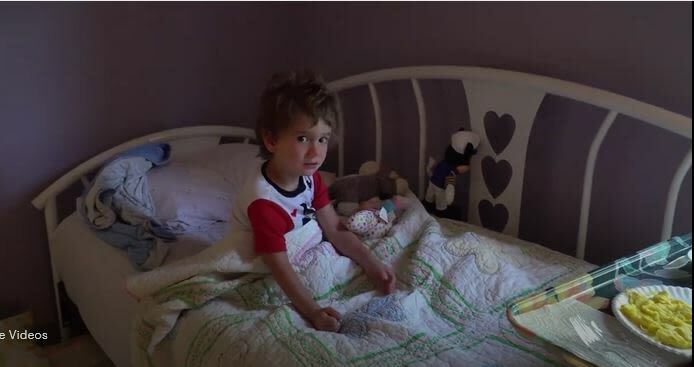 Elsewhere, a little boy does not react well at all to being woken by the happy birthday song. WATCH: Monkey takes the wheel, and Trump says climate change will "change back"
Azania Mosaka features three vocalists who sing songs from legends who have passed away. [Watch] Could this be evidence that motorists and cyclists could get along? The animal welfare group lodged an urgent court interdict against the government to stop the authorisation of lion bone exporting. Senior Art Specialist at Strauss & Co, Dr Alastair Meredith speaks about the impact of the shredding of the Banksy art. [WATCH] Can South African men do the #KupeChallenge?